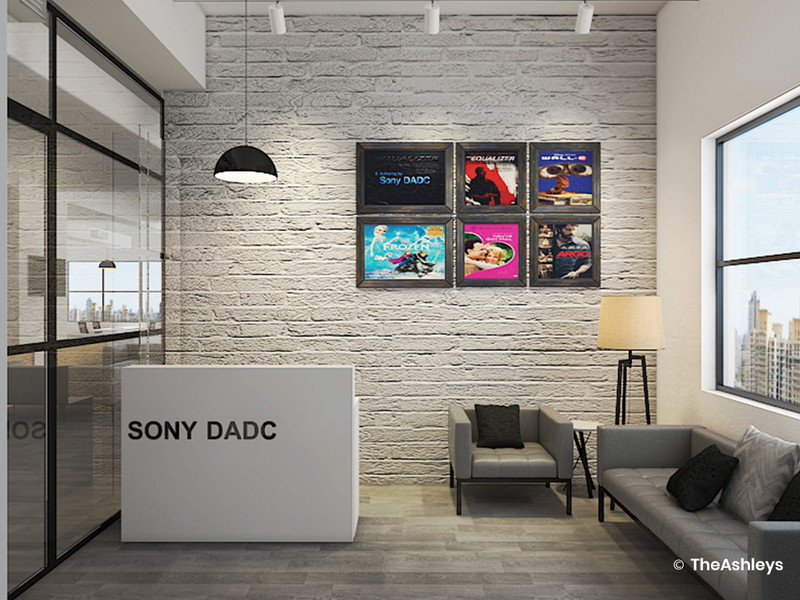 Sony DADC is a division of Sony, and focuses on the digitization of content for entertainment. 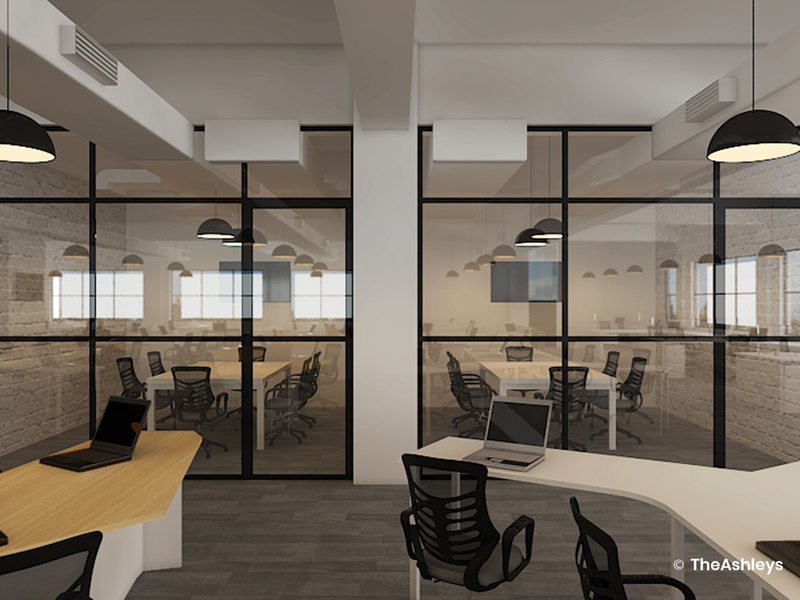 The brief for their head office project was simple: to dismantle the seriousness of an older corporate structure and bring about an environment of bonding and creativity. 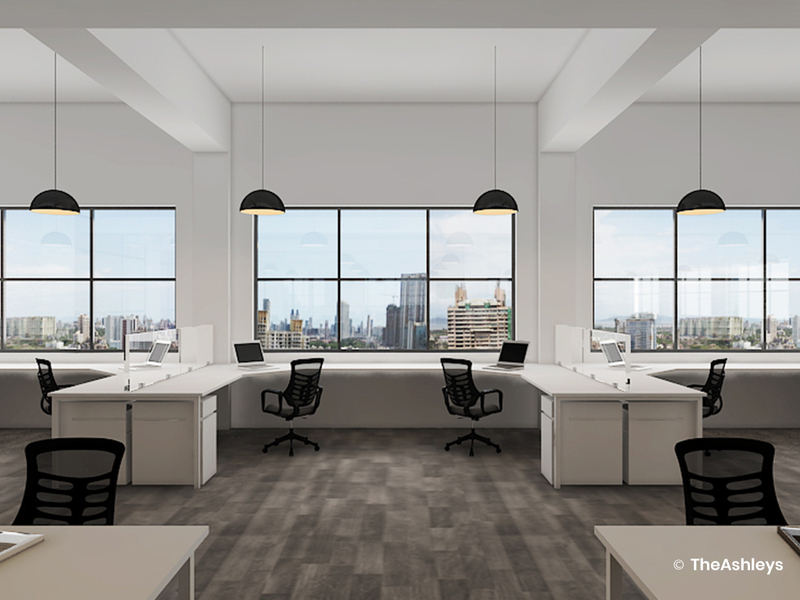 As commercial interior designers on this project, we also recognized the need to emphasize the subtle layers of hierarchy in the workplace. 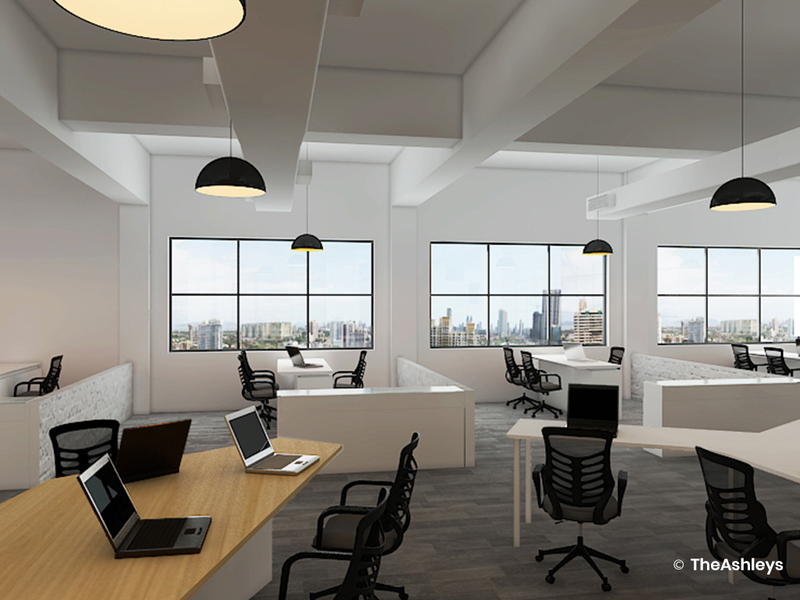 This mission was executed by purposeful planning of the interior space. A crisp, black and white colour theme with a contemporary open plan design gives this office a fresh, energetic vibe. 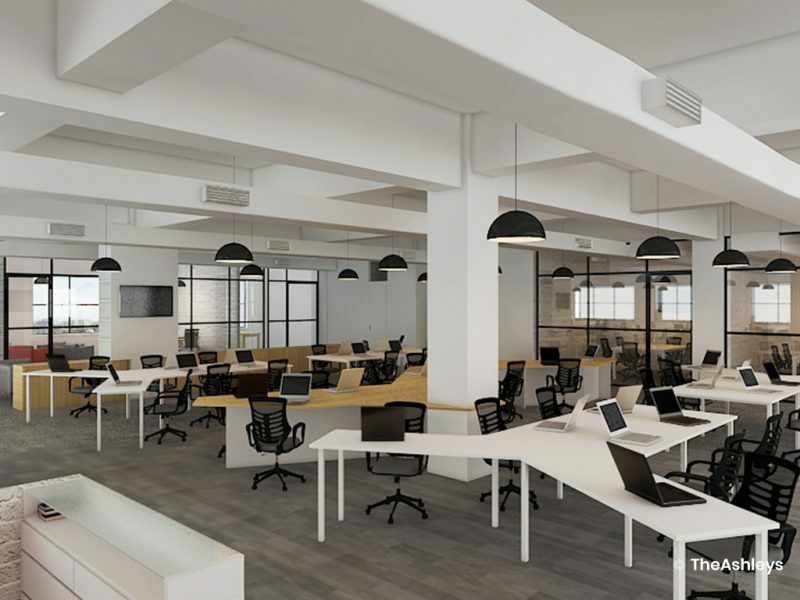 However, the desks for managers and mid-managers, while open and approachable, conveyed the hierarchy of the team. 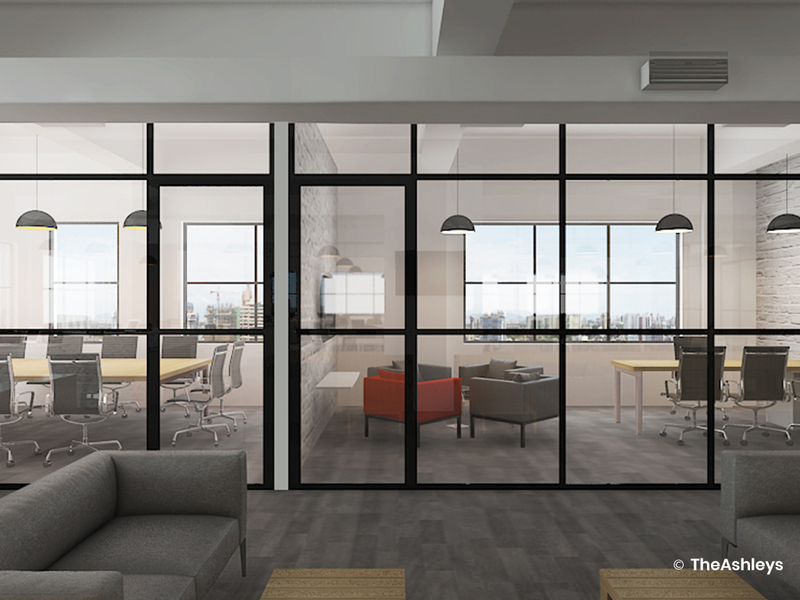 The basic colour palette extends through the office, with whitewashed exposed brick walls, all windows framed by sleek black grids, and grey flooring. Suspended lighting makes a refreshing change from usual corporate lighting, while framed movie artwork hangs on key walls, the only sign of the entertainment nature of the brand.